Heart, Aunt Bee: I Want to Love You, P.Y.T. 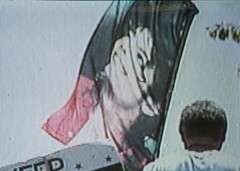 So I'm watching Entertainment Tonight's "Top 25 Stories in 25 Years" and, of course, Michael Jackson was featured. "The children are our future. Without them, we would become extinct." *Um, I mean most obvious and stupid and yet totally true. But it's like saying "Bees are the future of Honey Nut Cheerios." Nobody posts commetns cuz ur a loser! BWHAHAHAAHAHAHAHA don't you hate me?